A new family business at our Dinnington Business Centre is offering customers in the area a wealth of choice and experience for their home décor and trade supply needs. Premier Decorating Centre opened this summer, run by Director Jim Arthur, his daughter, Strategy and Sales Director Jane Wragg and her husband, Business Manager James Wragg. The couple previously ran an online decorating supplies business, while 74-year-old Jim has six decades of experience as a professional decorator. “It means customers can be sure that I know my stuff!” he says. The family chose Dinnington Business Centre as they felt they could fulfil an unmet need in the area. Plus the 1,450 sq ft business unit had plenty of room for their wide range of stock. “What makes us different is that as a company we are not tied to any particular manufacturers or suppliers, so we can offer a vast selection of stock. Customers will be hard pressed not to find what it is they need,” Jim says. 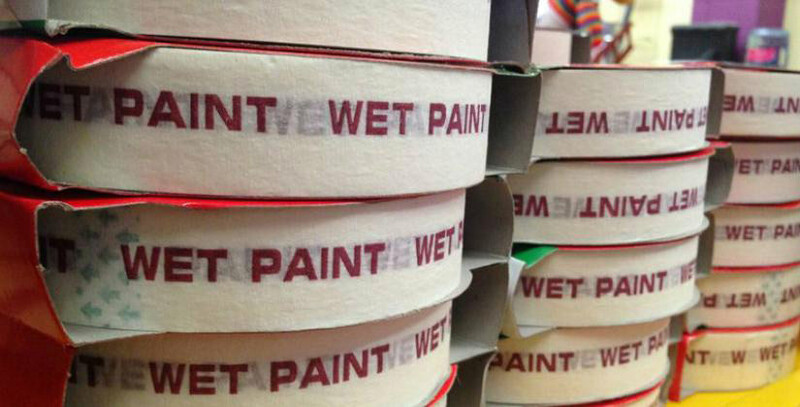 Premier Decorating Centre is open to both trade customers and the public. It specialises in paints, wallpapers and associated decorating supplies and tools from a selection of brands. The store also has a Crown paint mixing machine to match customers’ own choice of colour. The firm, which employs six staff, is aiming to become a firm fixture within the local community. The business owners have already appointed a chosen charity – the nearby Bluebell Wood Children’s Hospice in Sheffield – and last week raised £450 with a staff dinner dance and raffle. And despite having been open less than two months, Premier Decorating Centre has already taken on a new member of staff, who started just this week, to manage its IT and online presence. Customers are welcome to call in any time to discuss their decorating needs over a fresh cup of coffee. Our Dinnington Business Centre has a vibrant mix of companies within the large site. From office space to commercial premises and industrial units, the centre has an excellent selection of different sized business units to suit companies of all kinds. For more information contact Business Centre Manager Connor Johnson on 01909 281 421.